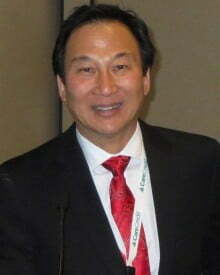 Dr. Walter Tom is a proud Diplomat of the American Board of Cosmetic Surgery and American Board of Surgery. His core specialty of 24 years was general, vascular and organ transplant surgery. Dr. Tom has practiced cosmetic surgery for 17 years in Santa Rosa and Napa, CA. as the medical director of the Aesthetic Laser & Vein Centers. Dr. Tom has a Bachelor of Science from the University of Michigan. He then attended Wayne State University School of Medicine. Dr. Tom completed a general surgery residency at William Beaumont Hospital and his organ transplant fellowship at the University of Cincinnati Medical Center. Dr. Tom offers a full menu of cosmetic medical procedures. His surgical niche is performing all cosmetic surgeries completely under local tumescent anesthesia including breast augmentation, breast lifts, facial and body fat grafting, abdominoplasty, liposuction and endovenous laser ablation/phlebectomies. Dr. Tom hosts a weekly radio show “Ask the Expert” on KSRO. He also speaks both nationally and internationally for multiple professional societies. Dr. Tom embraces the tenet of promoting cosmetic surgery education without boundaries.